Valentine’s Day will be here soon. ❤️ I love this Old Chicks set from Unity Stamp Company – it makes such a fun card to send to your “old friends”. I stamped the bird with Memento Rich Cocoa ink and colored the image with Copic markers. Then I punched out the image with a circle punch and inked the edges with the Rich Cocoa ink. I stamped the sentiment with the same brown ink on white card stock, punched it out with a scalloped circle punch, and inked the edges with brown ink. To make the card, attach a piece of pattered paper to a white card. Emboss a piece of red card stock with your favorite embossing folder. (The one I used is no longer available, but you can find a similar one here.) Attach the embossed piece at an angle to the card. 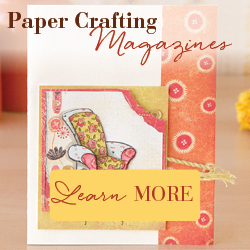 Trim a small strip of another patterned paper into a banner shape and attach to the card. Attach both stamped images to the card with foam tape. A sweet way to connect the hearts of “old friends”! This entry was posted in Cards, Stamping, Uncategorized, Valentine. Bookmark the permalink.